good rules.. always great dave.. did rc get banned? The other name? I've never been part of a forum until joining this one last night... so thanks for the quick rundown. thanks dave. we really needed this. hopefully all the new posters will read the rules before posting. there some current posters that need to read them. Dave I also think Nicky should become a mod if possible. This is a good thing...there needs to be rules..thank you David. Sure thing guys- I think it can only help. Also I think Ryan is right- I should make CNic a mod- what do you think CNic? i can help out. sure dave, i will be fair. i like to think that i get along with most on here. im back at work now after a leave so i wont be on here during the day but i'll be on during the evening and night. im honored that you would consider me. I agree..Cnic would be a great choice. i missed that post ryan. thanks for thinking highly of me. three cheers for our newest mod, C-NIC!!!!!!!!!! You certainly qualify CNic- a Laker GM + the most positive votes. You're now a mod which means you can edit/delete all the posts amongst other things. Congrats! Welcome to the crew Nick! thanks guys. u guys are really great. thanks dave it really is an honor to be a mod on this great site u created for us. now its going to take me a little time to figure this thing out. This is a fantastic site...with great members and now two outstanding moderators...way to go. definitely. showtime is one of the greats on here. Yeah I say Show would be next in line once things get even busier! good way to clarify things, dave... i guess most posters thought it was necessary to post a new topic regarding/associated to an existing topic to give their own "find" its proper attention. with certain topics reaching up to 400+, such as the garnet topic, it might be better to clear up some of that smoke to make room or give more attention to the new topics as well as giving some thought to the old ones... but i guess we should all adjust to it anyway. jus my two dimes..
i can definitely see posting new kg threads especially with the news we recieved today but we really dont need 10 new threads that are basically about the same topic. I think you're right LakerSUNDALO. Good suggestion and repped- I'll change the wording there. its definitely a great point. i can definitely see creating a new thread especially with the rumor that kg might become a laker. its a good way to get someones attention. as long as we dont creat 10 new kg is coming to LA threads. 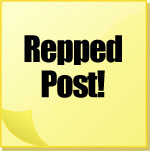 great post though, repped by me too! DUDE, Cnic thats awesome. You have been a real friend of mine on here. Great to see you can have some control. I think you will have some real great ideas for us to make this thing even better! I think this is the greatest Lakers site on the net, and now it just got better! Congrats. hey hey hey congrats Nick, you deserved it! Harry is another candidate for sure! wi24 and harry, thanks for the kind words. i really consider many of u as my friends. For sure cnic. We have to go to a Laker VS Bucks this year! Especially if we can get KG that would be sweet! A little Mauders and some Kobe and KG. Sign me up! that would be great wi. i would be down for that. C, congrats man, purple zen on me baby. Ryan, thanks for the complement man, special coming from a pioneer like you. Awesome, when we figure out when the Lakers are coming to town we can start getting tix. I think we should buy some good tix(within our budgets of course). It sure would be nice to have another LTB/Lakers die hard along for a Lakers game! that would be a plan wi. can never get enough of laker games. Plus if the Bucks go after Billups then it might make it a real game! So glad to finally hear we are making at least some talk of moves! I mean I was starting to get depressed after the JO deal died. Hey Ryan, what part of New Mexico are you from. I have some family there. Nice place, lots of red clay! lol, have to wear my firefigher boots when I am there! Congrats man... You deserve it. I also suggested several things to Dave thru PM. More like make them Stickers and immovables rather than being booted down if new topics arise. They basically stay afloat until Mods change em. Again, congrats. I also agree on Show being one, LF4L too. Thanks Ryan, just like being here kicking with you guys. yeah no doubt LA/LA should be a third mod. I live to the east of ABQ. Where is ur family? My fam is in Gallup. I do like it out there, obviously grew up in So Cal, but I do like to visit NM. I come out about 1 time per year. Especially when it gets 50 below 0 here in Milwaukee.